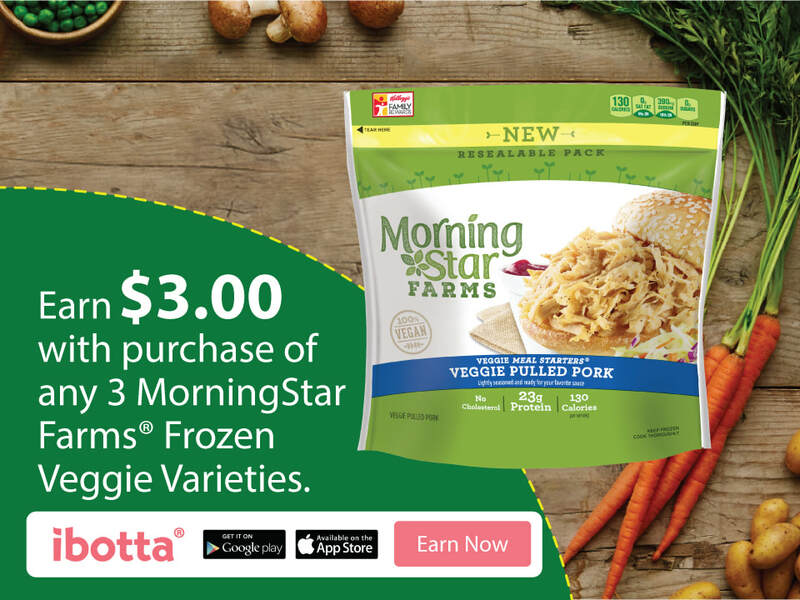 Ibotta offer ~ MorningStar Farms®Frozen Veggie products at Walmart! Earn $3.00! Get summer grilling ready with MorningStar Farms® at Walmart! Do you and your family want to incorporate more vegetables into your summer celebrations? Pick up NEW MorningStar Farms® Pulled Pork and any of MorningStar Farms® veggie burgers for a real flame changer! Did you know that MorningStar Farms® is Americas #1 Veggie Burger Brand? Grill it to believe it! Don’t miss this great Ibotta offer! When you buy any 3 MorningStar Farms®Frozen Veggie products at Walmart, you will earn $3.00! *Offer available while supplies last. My family and I love MorningStar Farms products! We especially like the veggie burgers, and I will have to try the new pulled pork! I need to start using Ibotta! Thank you! I have not used iBotta but need to check it out. I do love Morningstar Farms products and keep the prime grillers and chik nuggets in my freezer all the time. I Have never used Ibotta but it sounds like a cool service. I may have to pick these up and give them a try! I'm always looking for easy vegetarian options for parties because we have cousins who don't eat meat. This is fantastic. This is a great offer. We used to use to purchase morningstar products back in the day. Now we can't as they aren't available in Norway. I also wish Ibotta worked here as well! It is such an easy app to use to earn money. I've never had a morning star product before. I have heard fabulous things about them though! I haven't tried the Ibotta app yet but I do think it is the best one to have for rebates and cashbacks. I will have to download and sign up for it stat. A $3.00 cash back offer is awesome!